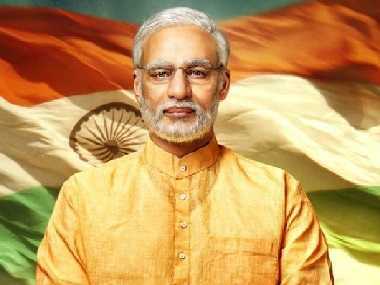 New Delhi: The Delhi Chief Electoral Office on Monday said it was awaiting a reply from the makers of a biopic on Prime Minister Narendra Modi, scheduled to be released on 5 April, after it felt that the film violated the model code of conduct. East Delhi Returning Officer K Mahesh, had on 20 March, suo motu issued notices to the production house and music company behind the film "PM Narendra Modi" and two leading newspapers for publishing advertisements of the film. Delhi Chief Electoral Officer Ranbir Singh said the concerned parties have been given time till 30 March to respond. He said the broad position is that any political advertisement circulated on electronic media or social media has to be pre-certified by the Media Certification and Monitoring Committee. "If any pre-certified political or surrogate advertisement is circulated, it is violation of model code of conduct. Whosever has done it is given an opportunity to explain their stand," the official said. The returning officer also suggested that the Election Commission of India (ECI) could form guidelines for political films released during elections. "We are looking into it. We will send the recommendations to the poll body," Singh said.